The vacancy on the U.S. Supreme Court has brought U.S. Sen. Lisa Murkowski back into the spotlight this summer, and one national group is raising the alarm bells about the decision’s impact on health care. Protect Our Care, a group that was heavily involved in opposing the 2017 GOP effort to repeal Obamacare wholesale, launched an ad this week calling on viewers to contact Murkowski about the decision’s impact on a pending lawsuit challenging the constitutionality of laws that prevent insurance companies from denying coverage based on pre-existing conditions. Ads by the national group, Protect Our Care, began playing this week and will run through to July 9, when Trump is expected to announce his pick for the Supreme Court. The ad will also be running in Maine, home to Sen. Susan Collins, the moderate Republican who joined Murkowski and Sen. John McCain and Democrats in defeating the GOP attempt to repeal Obamacare last summer. It’s also not likely the last time this year that Murkowski will be in the national spotlight this year. President Trump has already signaled intentions to bring another massive tax cut package to Congress in October of this year. The health care lawsuit was brought by 20 states in February, arguing that the requirement for pre-existing conditions was unconstitutional after Congress voted to repeal the individual mandate (as part of the tax cuts that Murkowski supported). The Texas-led lawsuit argues the entire law is unconstitutional without the requirement to buy insurance. In early June, the Trump administration announced that it would no longer defend the law in court and even went as far as filing a court brief that argued the pre-existing condition elements were unconstitutional. However, Kennedy’s departure does not necessarily indicate a sea change for Obamacare in the U.S. Supreme Court. Kennedy, in fact, voted against the law in the 2012 ruling that upheld the law. It was Chief Justice John Roberts who voted with the liberal majority in the 5-4 vote that preserved the law. 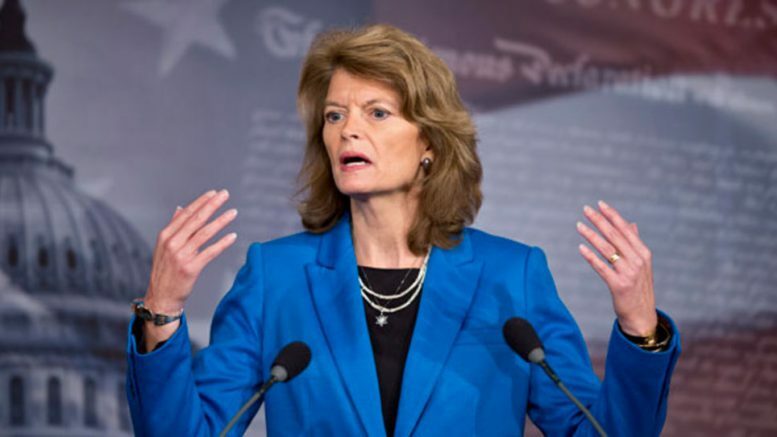 Be the first to comment on "Health care ads are back as Supreme Court decision puts Murkowski in the spotlight"